We have several shades to provide you with the privacy and soft, filtered light that you may desire in your home or business. 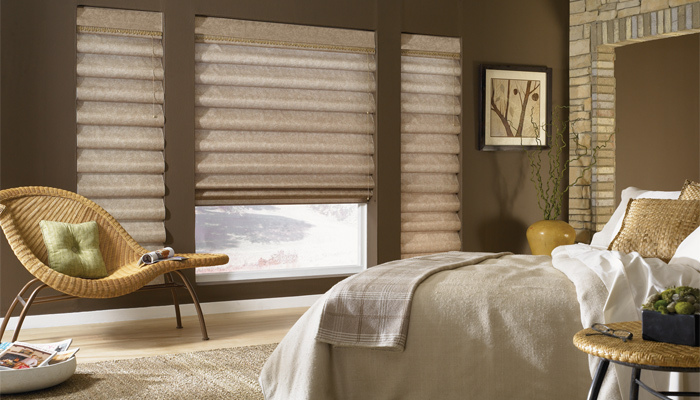 Shades are also a way to add an attractive and functional touch to your room. 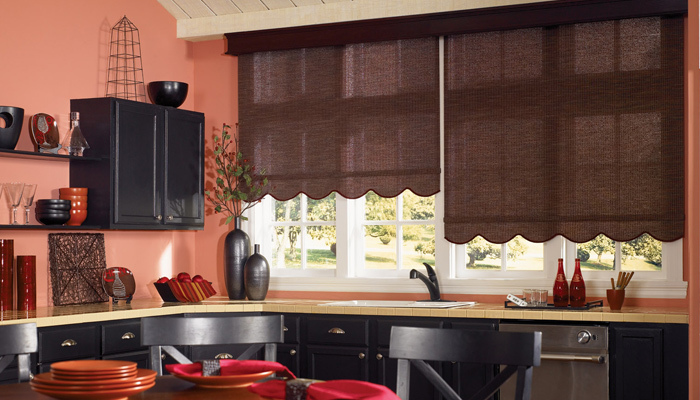 Cellular Shades feature a unique cellular design that insulates windows to keep rooms warmer in the winter and cooler in the summer by trapping the air inside. Elegant pleated shades combine an eye-catching design with the beautiful colors and patterns of fabrics ranging from sheer to semiprivate. 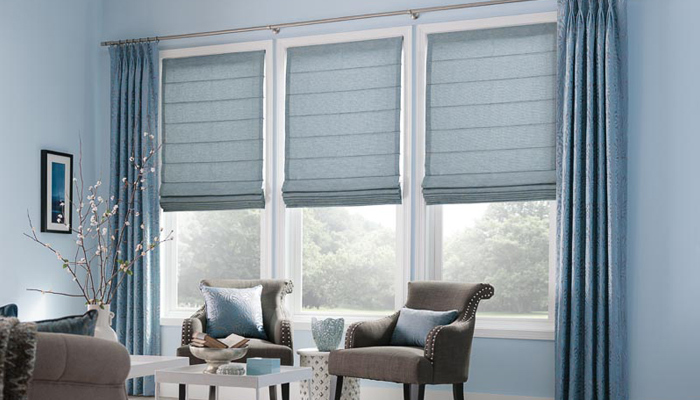 Roman Shades combine the up-scale beauty of soft drapery with the convenient operation of a shade. Fabric beautifully folds into pleats as the shade is raised. Choose from an extensive selection of fabrics from timeless to ultra modern to create an atmosphere of high-style sophistication that’s sure to impress. 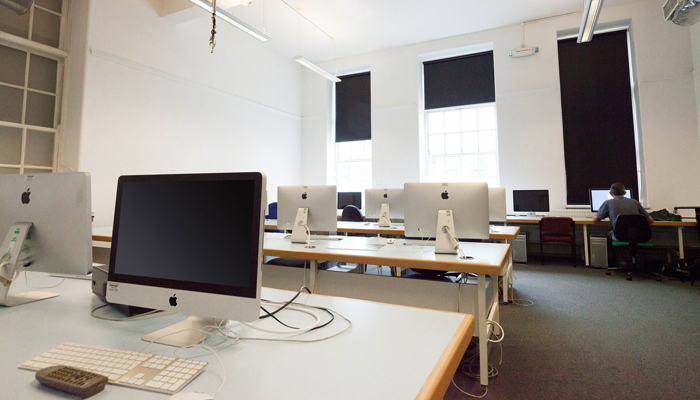 Enjoy full privacy with the blackout shade. It will block out all light and is perfect for bedrooms. 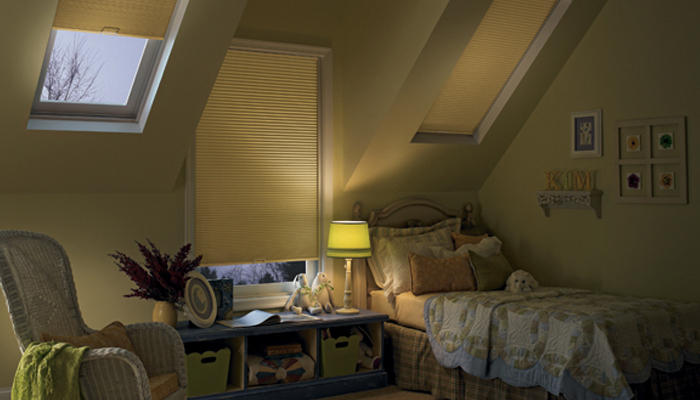 Great for kitchens and bathrooms, the light filtering shade allows light through and provides some privacy. 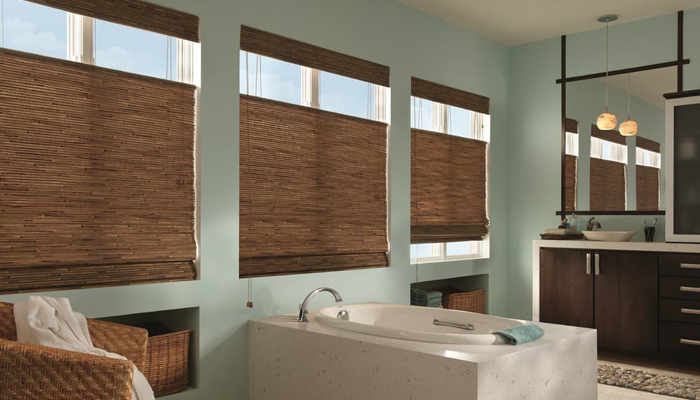 Woven wood shades allow a moderate amount of light to pass through while still providing you with privacy, creating a simple way to attain a casual, outdoor feel for your home. This type of shade is often made with brightly color yarn woven between slats of wood or bamboo. By reflecting “heat out” in the summer and “heat in” in the winter, the energy shade saves you money all year round! Perfect for the entire house or your business. The balloon shade is the posh cousin of the Roman Shade. With soft poufs and a scalloped bottom, the top of the shade pulls up through rings attached to the back side and an operator draws it up and down with a cord. Balloon shades can be pleated or ruffled at the top.